Going through a DUI arrest in Tacoma is a humiliating experience that can leave you full of doubts about your future. If you've been arrested for a Tacoma DUI, you probably feel like your whole world is closing in around you. One thing is certain: You want to put the whole ordeal behind you as quickly as possible. 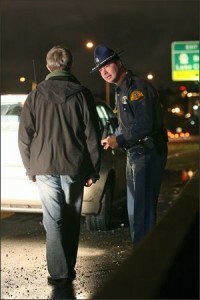 Most people our Tacoma DUI lawyers represent have never been arrested, and don't consider themselves to be criminals. At the Law Office of Jason S. Newcombe, we want you to know that a DUI arrest does not make you a criminal. Sometimes honest, hard working people make poor choices or just end up in a bad situation. Don't allow the emotional trauma of a DUI arrest keep you from taking action. Schedule a cost-free case evaluation and find out how we can help you return to a normal life. Our Tacoma DUI attorneys resolve hundreds of drunk driving-related cases annually - for first time offenders and those with prior convictions. Most people arrested for a DUI had no intention of breaking the law, and hope the court will show them some understanding. However, prosecutors often seek maximum punishments in DUI cases, so it makes sense to get help from qualified Tacoma DUI lawyers, who understand the process. If you're convicted of a DUI in Tacoma, it may very well have a devastating effect on your life. Penalties for a first-time DUI conviction in Tacoma include mandatory jail time, fines, and a driver's license suspension. You may also face certain discretionary penalties. Driving Under the Influence (DUI) is a fairly common criminal charge in Washington State and Pierce County. Often called a DWI in other states, DUI is a gross misdemeanor. This means the maximum penalty is 364 days in jail and a $5,000 fine. Beyond that, you are also looking at probation, a license suspension, an ignition interlock requirement, court ordered classes, and more. In a few circumstances, depending on your history, a DUI can even be charged as a felony. In addition to possible repercussions from the criminal court, you are also facing a second case from the Department of Licensing (DOL). When an individual is arrested for a DUI, he normally also faces a suspension hearing from the DOL. Once arrested, your license is tentatively scheduled to be suspended unless you request a hearing to fight the suspension. The request must be made within 20 days from the date of arrest and costs $375. It is important to note, because this is an administrative hearing and not criminal, you do not have a right to an attorney in the proceeding. You certainly can hire your own attorney to represent you but one will not be appointed to represent you if you cannot afford to hire one. If you would like to discuss your situation, including both the criminal and DOL proceedings, we will be more than happy to speak with you. Representation can include both hearings or simply one, if you prefer. Now is the time to protect your legal rights, with help from our Tacoma DUI lawyers. With more than 30 years of combined experience, we are well equipped to handle your case. After a DUI arrest, you may not know where to turn for help. Washington drunk driving laws are often confusing in Tacoma DUI cases, and you may have questions about your legal rights. The successful resolution of a DUI case may mean different things to different people. Some drivers may feel like their arrest was unwarranted, and others may be satisfied if they're able to retain their driving privileges and stay out of jail. Get a better idea of what to expect by talking to one of our Tacoma DUI lawyers about your arrest. If you were pulled over without a legitimate probable cause, we may be able to have your DUI charge dismissed. If the measuring device used to determine your blood-alcohol level was not calibrated according to regulated guidelines, we may also use this evidence to bolster your case. Other factors may come into play in a Tacoma DUI case, so get more information by scheduling a free case evaluation today. Speak with one of our DUI lawyers without any risk or obligation, and then decide if you would like to fight back with help from our team of professional litigators. Contact our law office today and talk to a qualified Tacoma DUI attorneys about how you can fight the devastating impact of a DUI conviction.